The Izumi standard 1/8 track chain in black is a simple and affordable chain designed specifically for your track bike, single speed commuter or fixie bike. Thicker and stronger than a chain designed to shift from one cog to another a 1/8 track chain will last longer and perform flawlessly. 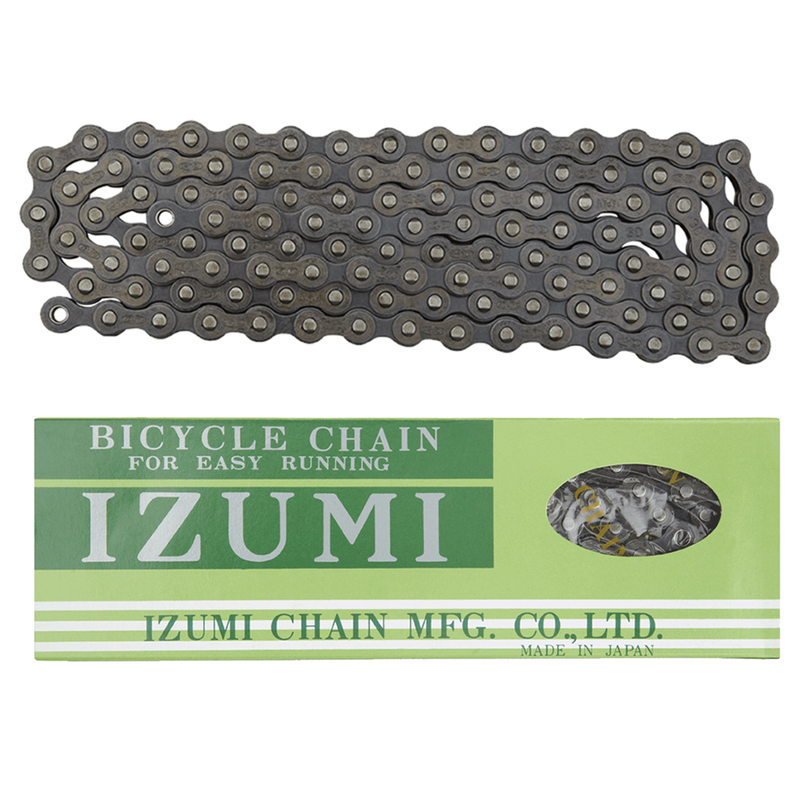 I've been using Izumi chains for 3 years now, they are great, very smooth and reliable.